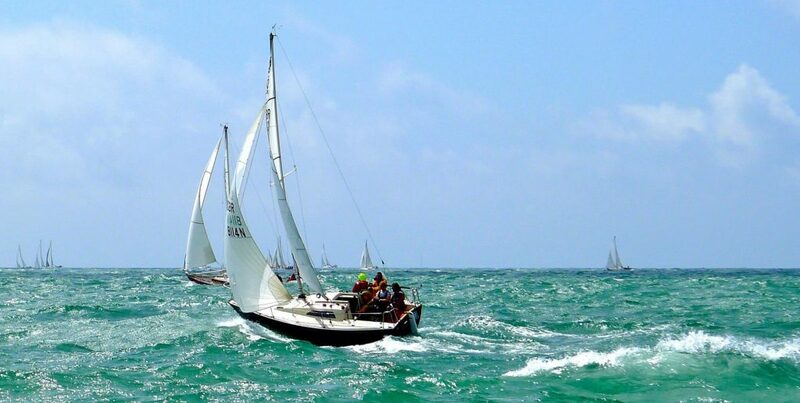 Many of you will have known Chris Bentley as a fellow Sonata sailor and keen competitor, Sonata Association Chairperson or from his enthusiastic contributions to this website. Sadly, Chris passed away on Tuesday March 12th in St Christopher’s Hospice, Sydenham, struck down by an aggressive form of cancer. But nothing held Chris back. He was still planning his summer sailing right at the end. Chris has owned a Sonata since 1979, Chrysalis, to become BFG. He was totally committed to the National Sonata Class, and was a major player in the development of the Medway Sonata class, the largest fleet in the Country. As NSA Chairperson he inspired a new interest in Sonata Sailing and brought the National Championships to Medway YC in 2012, the year of the London Olympics. I was lucky enough to sail with Chris in five National Championships and various regional Championships. It was always a privilege. He was a skilled skipper with a calm and reassuring temperament even in the worst weather. Sailing with Chris was always an adventure. 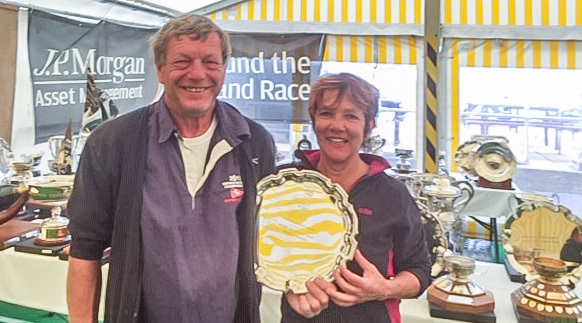 He won the RTI Sonata Salver three times in the windiest of weather. On one occasion, so keen to have a go at claiming the Golden Bowl, we lost our rudder at the back of the Isle of Wight, putting ourselves into serious danger. Chris stayed calm and directed the crew into safety. We were rescued by the Royal Navy. Certainly a great story to tell in the bar afterwards. Chris had loads of those! It was a tribute to Chris that the RTI crew, Max Bentley, Dave Hill and me (Sharon) had such a wonderful sailing experience and had so much fun! For 40 years Chris flew the flag for the Sonata class. He was passionate about the class. He will be sadly missed. This is the end of a wonderful era. For everyone who had the privilege of Sonata sailing with you Chris, we will never forget you. Sail on!